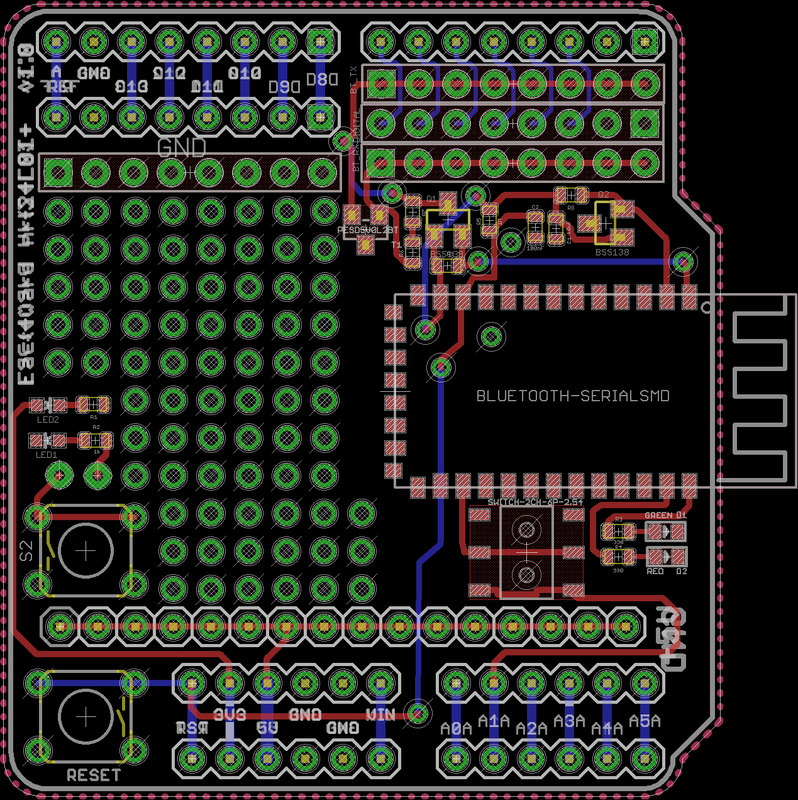 This is a bluetooth shield with slave/master capabilities. Have a look whats available in the shop. 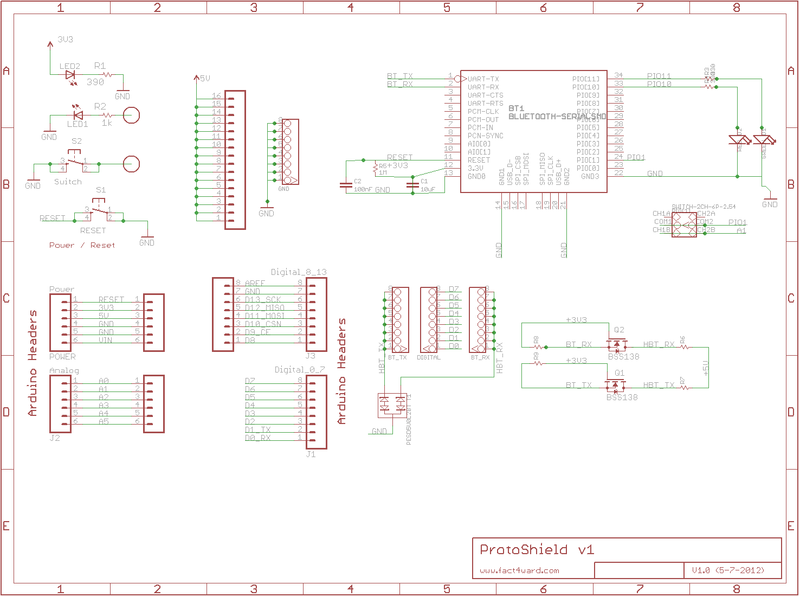 It still contains the features of the normal prototype shield such as a power LED and a swichable LED. 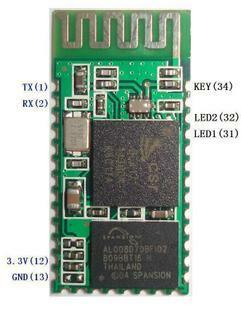 It is based on the bluetooth modem pictures below. On the seedstudio site there is a good description of this module. The bluetooth shield also has some leds to show communication happening in real time so you can easily monitor if the shield is functioning. I will soon also publish a small story of how i managed to make this project. Cool.